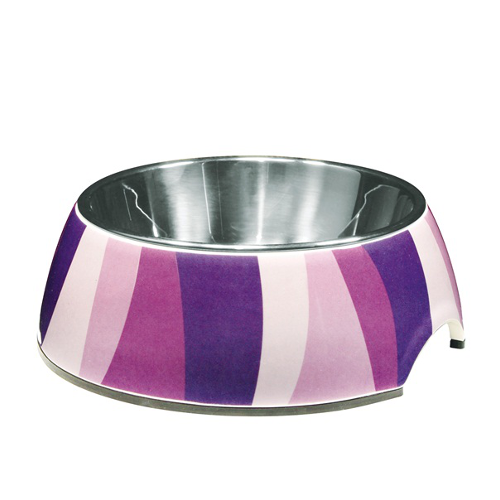 This versatile pet dish is really 2 dishes in 1 -- an accent-patterned outer dish with a stainless steel dish insert. Can be used separately or together. Dishwasher safe. Capacity: 160 ml.